Agricultural businesses have to cope with their consistent collateral production of organic waste, while they also have consistent needs for energy in order to run their operations. This is mainly why it appears obvious that small-scale anaerobic digestion is a potentially really interesting technology in order to integrate their operations and benefit from this possible synergy by saving on their agricultural waste management and energy costs. Agriculture is truly well fit to be juxtaposed with anaerobic digestion for many reasons. First, organic wastes are an obvious common characteristic shared by agriculture and anaerobic digestion. Second, their combination presents obvious economic and ecological advantages such as the production of electricity and heat with the biogas obtained through the anaerobic digestion of agricultural waste, and the reduction of the strong odors associated with the use of untreated manure as a fertilizer. Third, the proximity of the on-site installations allows to drastically minimize the need to transport the organic inputs for treatment. Also, anaerobic digestion is getting more and more acknowledged and accepted socially, and there is no doubt that such a project can be easily bearable for even a small farm if planned wisely and thoroughly. Mrs. Sabrina Eichenauer conducted a case study on 10 anaerobic digesters located on-site at different agriculture farms. The results of the case study are promising as depicted during her presentation at BioCycle REFOR16 on October 19th, 2016. 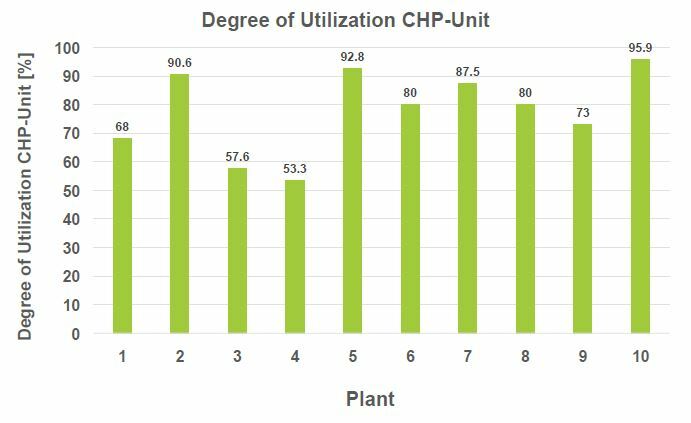 Indeed, it appears that the degree of utilization of the CHP-Unit averaged as much as 77.87%, ranging from 53.3% to 95.9%. This range of results can be explained by many factors, but there is no doubt that there is a synergy emanating from agricultural waste management with small-scale digestion. In the end, the close relationship between anaerobic digestion and agriculture is obvious, and plenty of arguments promote their combined implementation. Small-scale anaerobic digestion can be accessible to small farms, but it must be kept in mind that it has to be a long-term investment. The most important aspect remains to carefully plan the project to be sure that everything is optimal. As such, Mrs. Eichenauer has emphasized the importance to «rather take a bigger investment, than having even higher costs afterward for retrofitting and repairs due to inappropriate components or materials». 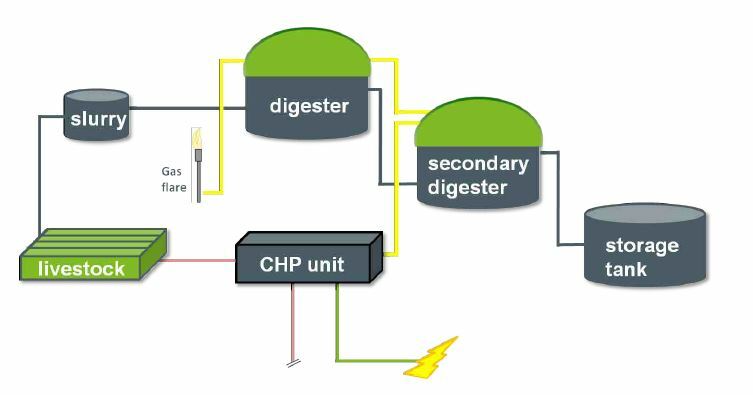 Also, have a look at one of our previous articles for additional information about small-scale anaerobic digestion: Small Scale Digestion, is it for you?